When it comes to selling products online, your photos are essential for capturing attention and showing off the quality and details of your products. Customers who shop online have come to expect high quality imagery that allows them to see products in clean, simple imagery. So it’s important to use well-chosen light and create enough interest to get a ‘feel’ for the product itself. So how do you do photograph your products to make them stand out, and look appealing… and most importantly, photos you can take at home? Fortunately, it can be easier than you might expect once you know how! As a photographer I rely on these 3 simple techniques that you can apply no matter what camera or the style of photography you’re aiming for! The number one secret to beautiful imagery has nothing to do with fancy equipment, photo-shop or master styling... it’s having beautiful, soft and flattering light. The problem with natural light is that we’re usually shooting inside, and this can lead to gloomy underexposed or blurry photos, whereas if we move too far into bright, strong light that you’d find streaming in a window, you’ll end up with strong distracting shadows and leave part of your subject in the dark and parts of it overexposed. Non-direct, soft light will fall beautifully over your subjects and show them off in the most flattering way. Just be sure not to step too far away from your light source or you’ll find you don’t have enough light and your image will be dark, grainy and glum! I love setting up right in my front doorway, and garages also provide an excellent source of soft light, when you open up the doors and sit just inside the doorway you can see how abundant the light is. If you’re shooting outside, the best time for soft light is early morning and late in the day, when the sun is lower in the sky. If you’re finding your light is creating a little more shadowing that you’d like… experiment with bouncing light back into your photos. Using something as simple as a big piece of card can make a big difference to how much light you have in your photos. 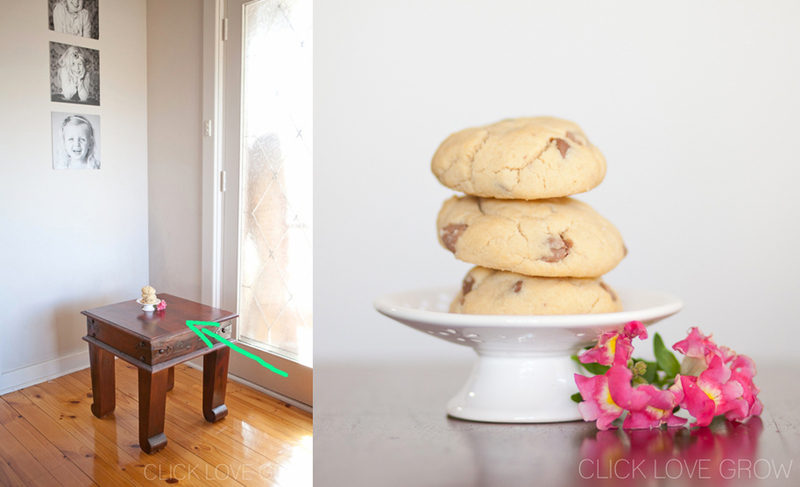 Find a suitably well-lit room in your house and set up a shot 45 degrees from a large window. Now move your subject closer and further away from the window and watch how the light interacts with your object as you move it in and out of the light. If you have a DSLR you can allow a lot more light into your camera and shoot indoors more consistently by using a lens that can open to a wide aperture (eg. 50mm f/1.8) This provides a lot more flexibility in where you can shoot, it will provide much sharper images, and the bonus is that these lenses also let you create a very shallow depth of field. These are the shots where you focus on just a slither of detail and everything else falls away in a nice blur, like in the image below. When it comes to composing and styling your product photos, the best rule to follow is to keep. it. simple. Cluttered, over-styled images are distracting, and too many props will draw the focus away from the main subject. Instead, make the hero of your shot stand out and avoid the temptation to overdo it with props or fancy tricks. You can do this by remembering to ‘clear the clutter’ in your shots and only include what’s necessary for the shot. Stick to simple backgrounds and be sure to pay attention to what’s in your frame. If you have branded items, make sure any labels are clearly visible & not obstructed so that they’re part of the shot. 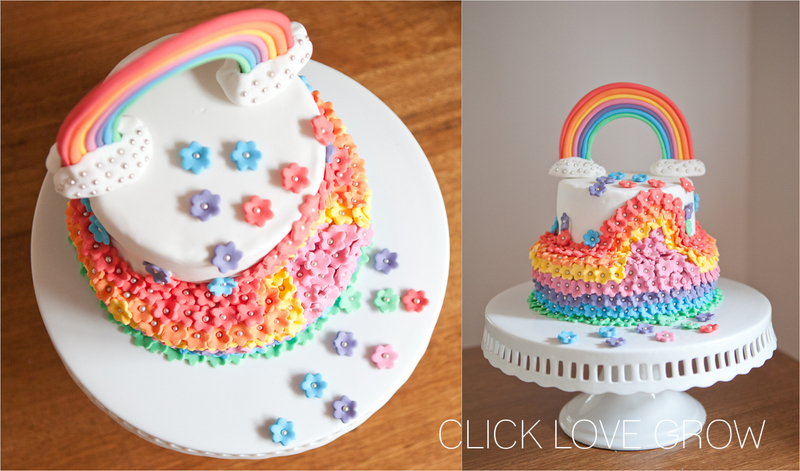 My favourite backdrops are vinyl rollups you can buy cheaply online, or get creative and use items you have at home. Position yourself close to your light source and shoot at an angle that lets you only have that backdrop in frame. Whatever you use, try and stick to 2-3 backdrops and maintain consistency throughout all your images. 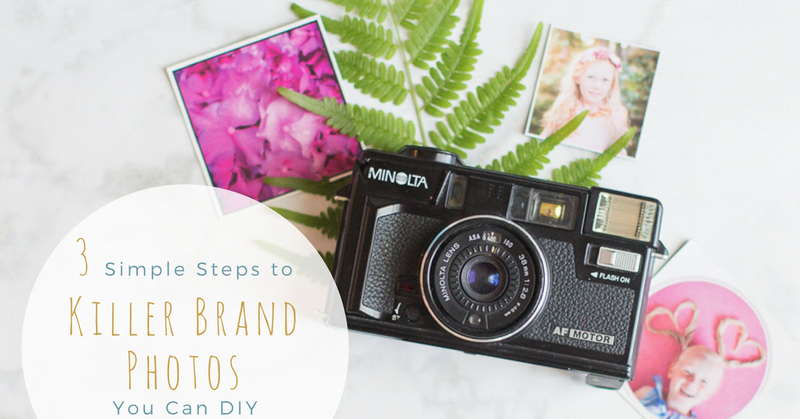 If your photos are all of a different look and style, it can confuse people and detract from the value of your brand and your products. So embrace simplicity, in your shoot choices, in order to help you build brand recognition and authority. - Use your brand colour palette, or select 1-3 related colours that you love and use an element of them throughout all your shoots. - Always use the same lighting set-up throughout all your product shots, to keep that consistency flowing. Do this by using the same location/time of day so shadowing and light looks similar. -	Stick to 2-3 different backgrounds that you use over and over. Sticking to colour palettes throughout your images will help create brand consistency. Have a look at brands you love, and see if you can spot how they achieve their brand style... is it via colour palettes, consistent backgrounds or a common theme in all their photos? Having high quality imagery in your store or listings is essential… but how are you drawing customers to your site in the first place? Using photos and imagery across your social media channels will boost engagement and build brand loyalty for repeat sales and referrals. 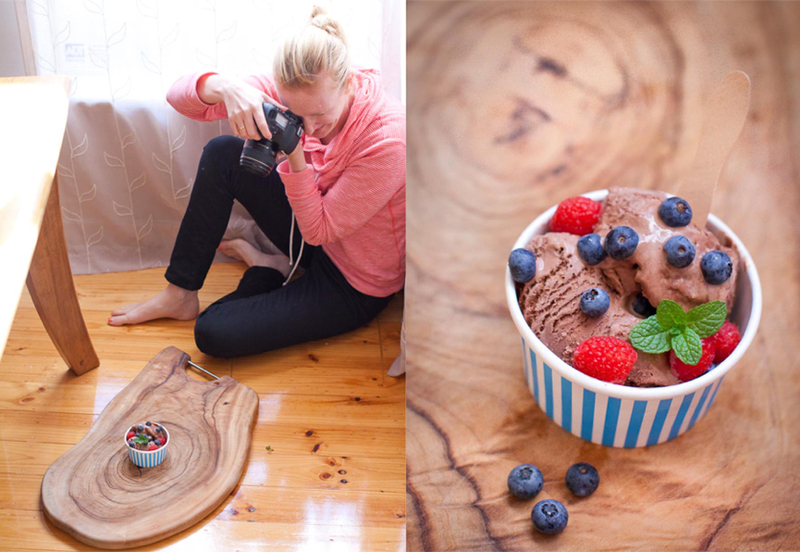 And you can do this, by thinking beyond your product photos, and start telling stories with your images! Use photos to not only show us your products, but take us behind the scenes and let your audience get to know more about you and your business. 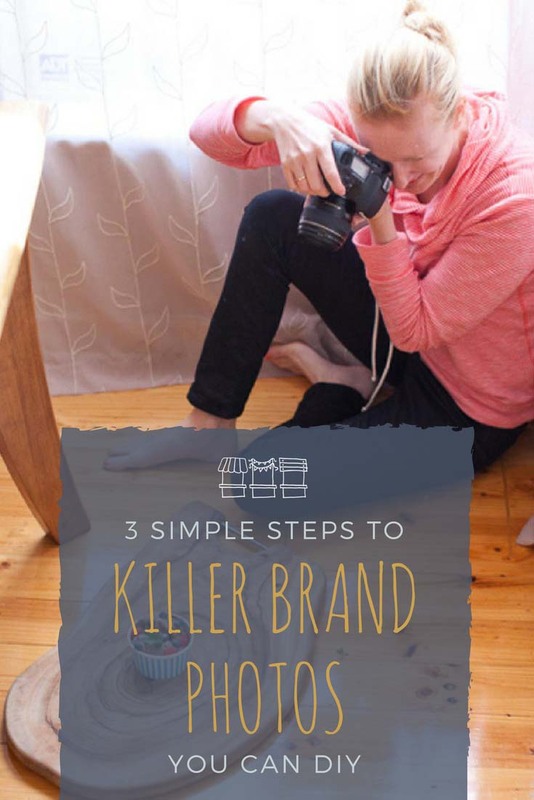 The way to stand out in a sea of competition is to build an authentic connection, and sharing photos not only of your products, but the stories from within your business is the best way to do it! It’s also totally ok in this instance to sneak in the odd phone-selfie as well! People love to see the face behind a brand! •	Do you have new materials or fun quirky ingredients? •	Capture the process of packaging and delivering your project – don’t forget detail shots like tags, ribbon, your logo stamp, etc. •	Before and Afters Are SUPER popular. Authentic moments, and behind-the-scenes stories allow your audience to get to know, like and trust you... which is essential before they’ll buy from you! So for product photos that help you stand out, the 3 essentials I follow are to go towards the light, and use soft, natural light that allows you to capture light, sharp images that show us all the details in your products. Aim for simplicity and consistency in how you capture and style your images… across your store listings and your other online channels. And finally, stand out amongst other brands, by sharing and showing off the stories behind the products! Don’t be afraid to throw some personality and behind-the-scenes action into the mix of images you share online… it will allow you to build authentic connections and let your customers get a feel for who you are and why you love to do what you do! 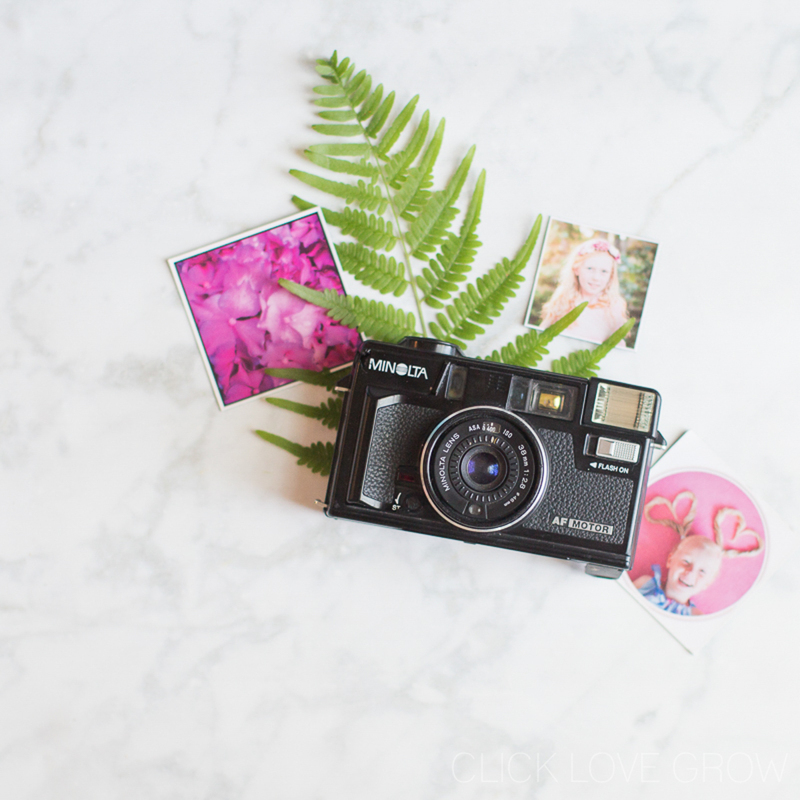 If you’d like more info about improving your photography, or you’d like to make the jump into shooting in manual mode… head over to Click Love Grow to take part in our Free 7-Day Photography Challenge! 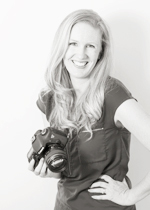 Lou Glendon is the founder and creator of Click Love Grow where she's taught 1000s of women how to master their cameras and take photos they love! From military officer to boudoir photographer, she developed her series of online photography courses when her family decided to re-locate overseas. Click Love Grow is now a beautifully supportive community of women from all over the world, learning and enjoying photography for themselves and their businesses.